November 30th, 2008, Pedro Castle 6.30 p.m. 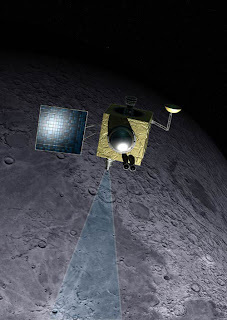 I don’t know about you, but I have seen very little in the media about India’s successful mission to the Moon. As of writing this, everything is going as planned; the instruments have been activated and are operating correctly. And Mumbai is suffering. Venus and Jupiter have been getting closer to each other and on viewing night will be joined by the crescent moon. Look to the west after dusk and watch the planets approach each other. Dec. 1st is the best night of all. 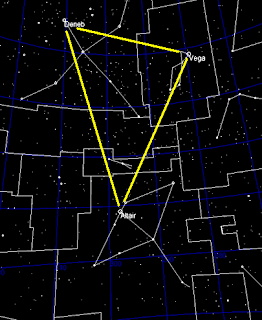 The now-15% crescent Moon moves in closer to form an isosceles triangle with Venus and Jupiter as opposing vertices. The three brightest objects in the night sky will be gathered so tightly together, you can hide them all behind your thumb held at arm's length. Pedro Castle, Monday March 10th, 7.00 p.m.
High overhead at viewing time lies the constellation Auriga. 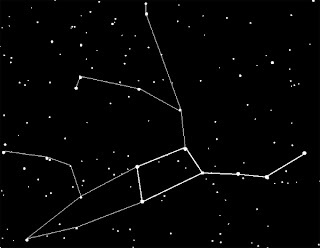 The Charioteer (possibly Erechthonius, son of Vulcan) is among the brightest northern constellations, it lies midway between Perseus and Ursa Major in a region crossed by the Milky Way, and is the site of the galactic anticenter (the point in the sky diametrically opposite the center of the Galaxy). Gamma Aur, or El Nath, is shared with Taurus and is universally referred nowadays as Beta Tau. 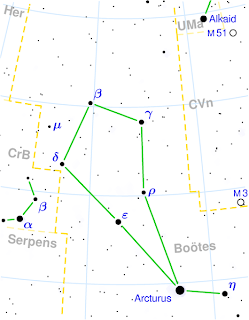 Its brightest star is Capella, which is associated with the mythological she-goat Amalthea. The three stars ε Aurigae, ζ Aurigae and η Aurigae are called Haedi (the Kids). Aurigae and Zeta Aurigae are remarkable eclipsing binaries. 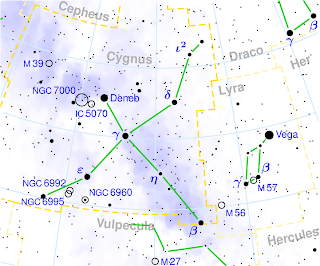 ε Aurigae and ζ Aurigae are peculiar binary stars. 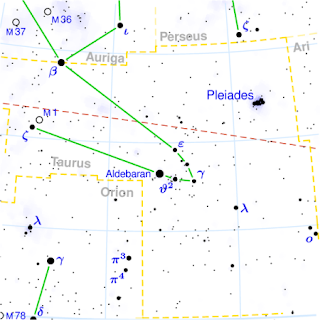 The orbital period of ε Aurigae is approximately 27 years, with an eclipse duration of about 18 months. The visible companion is a yellowish F-class supergiant. The type of the other star is not known. ζ Aurigae has a period of 970 days, the primary is a K-class supergiant and the secondary is a B-class main sequence star. Both these systems present a rare stage of binary evolution, as the components are in a short and active evolutionary stage. Auriga has many open clusters and other objects because the Milky Way runs through it. The three brightest open clusters are M36, M37 and M38, all of which are visible in binoculars or a small telescope in suburban skies. 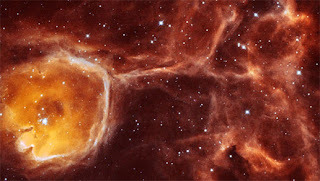 A larger telescope resolves individual stars. The clusters are about 4100, 4400, and 4200 light years distant, respectively. Their apparent visual magnitudes are 6.3, 6.2, and 7.4, respectively. Capella (α Aur / α Aurigae / Alpha Aurigae) is the brightest star in the constellation, and eleventh brightest star in the sky. Although it appears as a single point to the naked eye, Capella is actually a bright close binary pair of yellow giant stars along side a second, fainter binary. A yellow star, it traditionally marks the left shoulder of the constellation's eponymous charioteer, or sometimes the goat that the charioteer is carrying. 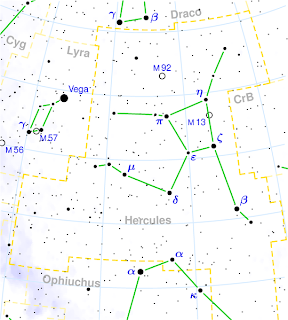 It is closer to the north celestial pole than any other first magnitude star (Polaris is only second magnitude) and as a result has played a significant role in many mythological writings. A tablet dating back to 2000 BC refers to Capella. Astronomically, Capella's interest lies in the fact that it is an easily-studied non-eclipsing spectroscopic binary star. These two giant G-class stars have luminosities of around 50 and 80 times that of the Sun and lie less than 100 million km apart with an orbital period of 104.02 days. The stars were probably of spectral class A during their main sequence, similar to Sirius, and are in the process of becoming red giants in a few million more years as they continue to expand, cool, and brighten. Capella is a source of X-rays, probably due to surface magnetic activity on one of the pair. 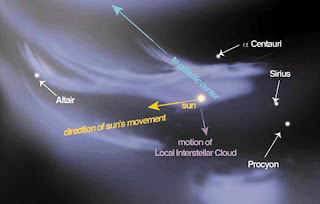 The Capella binary was the first star system to be imaged using a long baseline optical astronomical interferometer in observations by COAST in 1995. The central stars also have a faint companion that is itself a double star, consisting of two M-class red dwarf stars, that orbit at around a light year away from the main pair. 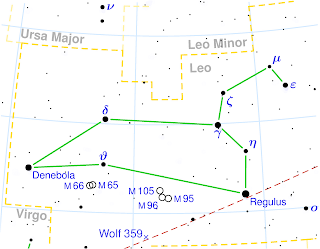 In Australian Aboriginal mythology, Capella was Purra, the kangaroo, pursued and killed by the nearby Gemini twins or by the Orion hunter, or near the Orion belt twins canoe. To the Bedouin people of the Negev and Sinai, Capella is known as al-'Ayūg, 'the dandy', in its role as pointing out the position of the Pleiades -its name more fully al-'Ayūg ath-Thurayyā 'dandy of the Pleiades'. On the night,Mars will be high overhead, with Saturn rising in the east, close to the brightest star in Leo, Regulus.